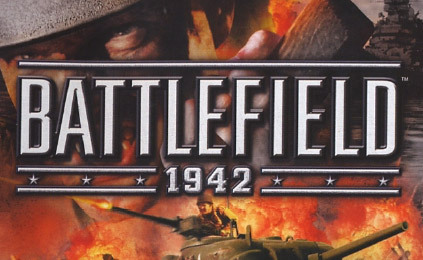 Relive the greatest war in history in Battlefield 1942. Experience the heat of battle as you heroically storm the beaches of Normandy, drive a tank across the deserts of northern Africa or pilot a fighter plane during the Battle of Midway. Choose your weapon and then jump into an all-out, raging firefight. From bazookas to battleships, a massive arsenal is at your command. Prepare to face the enemy in the air, in the deep and on the battlefield! Fight on to victory: Experience all-out combat in all four theaters: South Pacific, North Africa, Eastern and Western Europe. Duke it out in huge online skirmishes: Go to war online with up to 64 players in one explosive online battle. Turn the tide with grit and gunpowder: Take control of 35 machines of war. You'll pick up the sidearm of your choice and get behind the wheel of a variety of vehicles, ships, and aircraft to go to war on land, sea, and air during some of the most famous and pivotal battles of the Second World War. It was the game that kicked off the entire Battlefield series, which, in the past decade, has produced some monster hits. To celebrate its 10th anniversary, EA's Origin store is offering Battlefield 1942 (PC) free of charge. BF1942 was the originator of the FPS/vehicle genre and it was and is a good game. It was not intended to be a realistic game but a fun action game, which it is. The mods have attempted to add more realism. The best, IMO, of the WW2 mods is Battlegroup42.